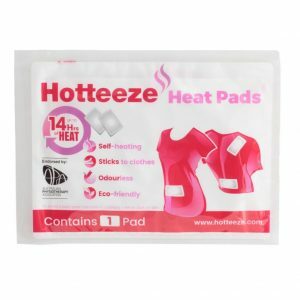 Hotteeze Heat Pads are perfect for those times when you need a steady supply of heat. 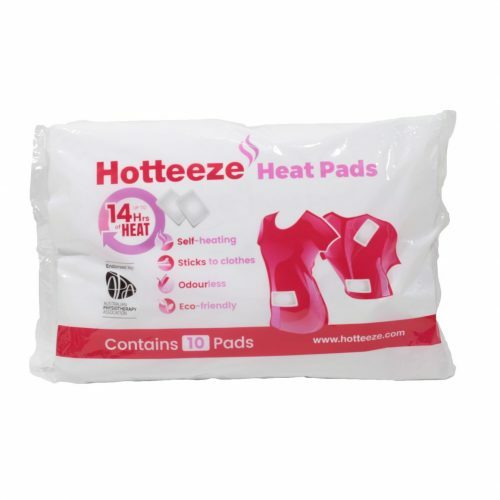 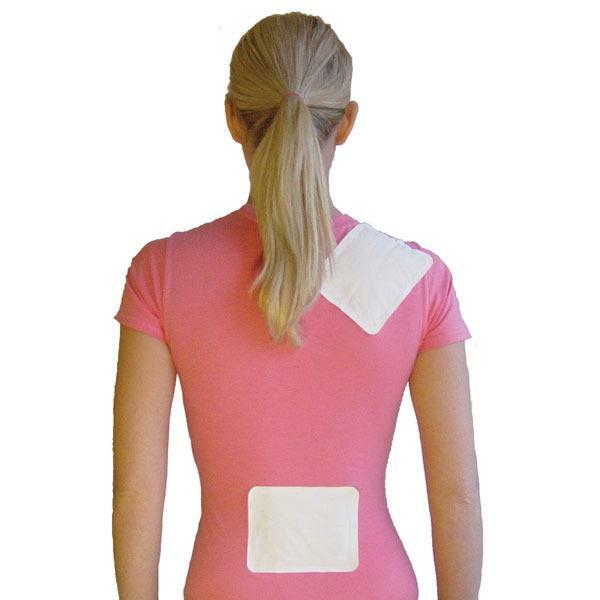 Use Hotteeze self-heating pads to help relieve period pain and other muscle aches and pains. 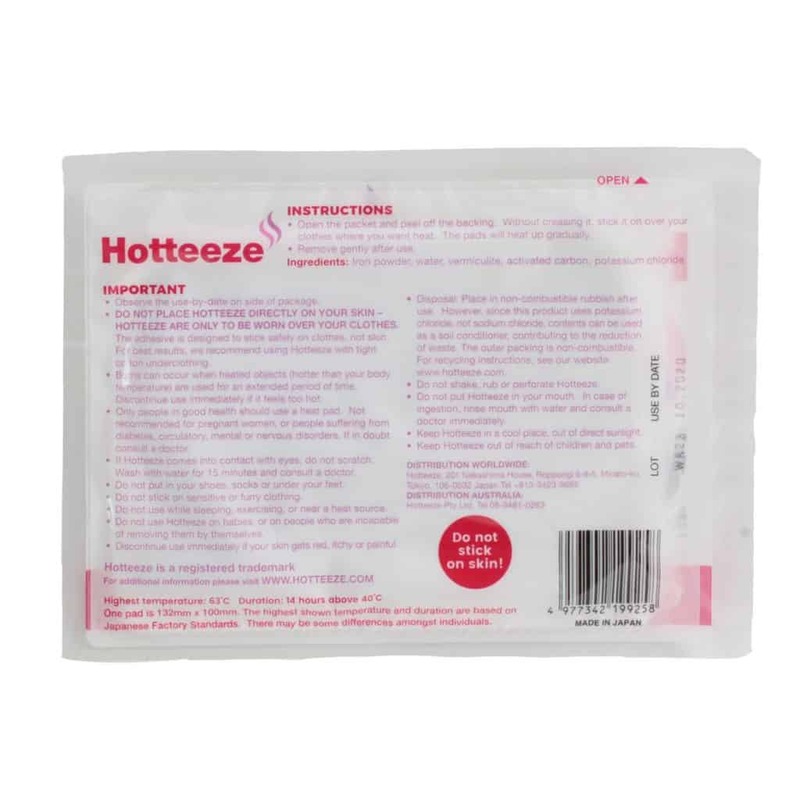 Clinical studies have found that moist heat therapy, like that produced by Hotteeze Heat Pads, is an effective, non-invasive and drug-free option for the treatment of many health conditions. 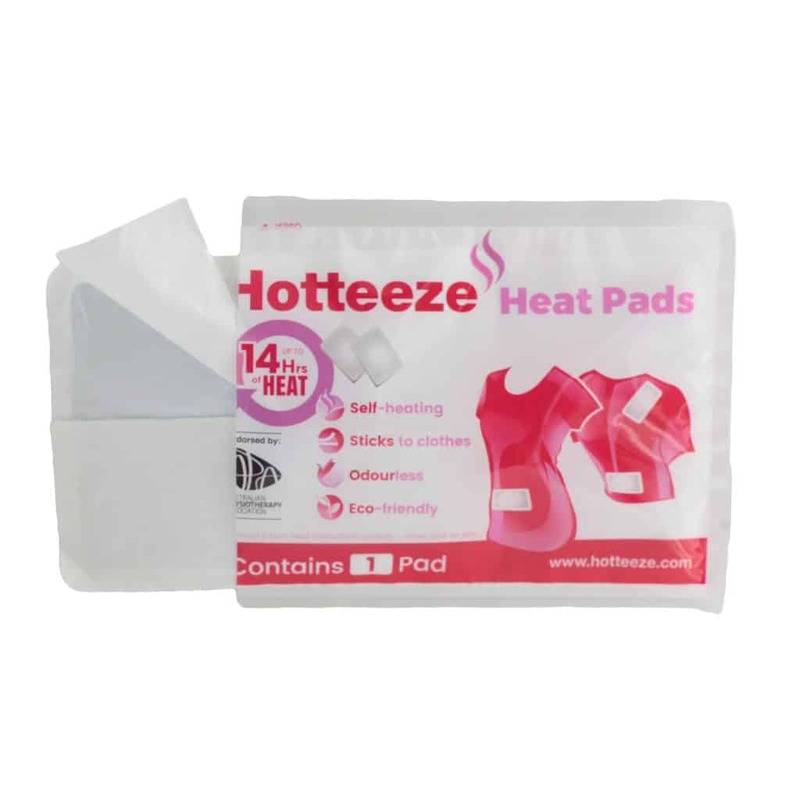 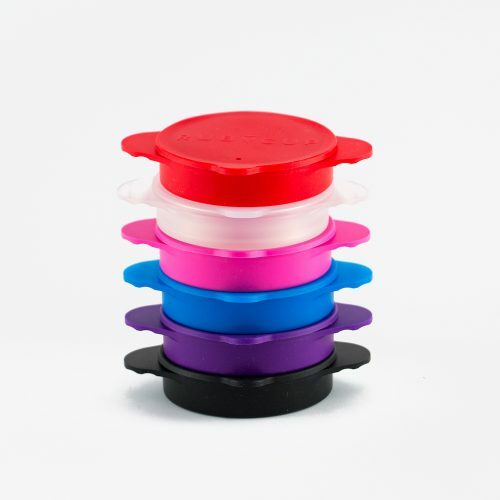 Each Hotteeze pad measures 132mm x 100mm in size and is a one time use product. Using the Hotteeze heat pads is easy. Simply open the packet and peel the backing off the pad. Without creasing it, stick the pad on OVER your clothes where you want the heat. The pads will heat up gradually providing up to 14 hours of continuous warming to the affected area. 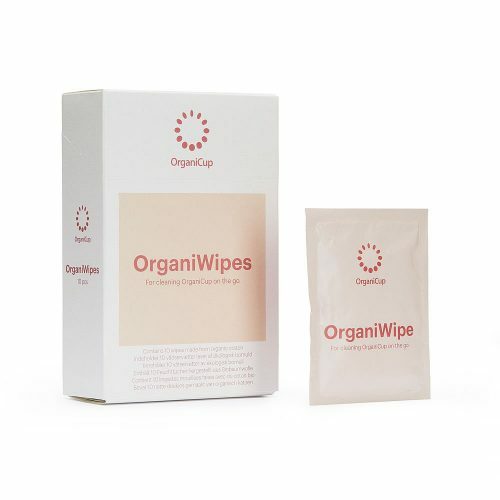 Remove gently after use. 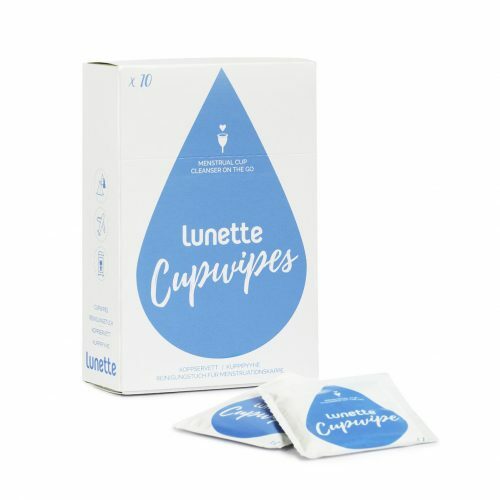 Iron powder, water, vermiculite, activated carbon, potassium chloride.